I am a curious person by nature I like to ask questions some of them a bit more quirky than most people would consider asking. The phrase “It would take YOU to ask THAT” has often been uttered in semi annoyed tones by my close family members. I tend to look a bit deeper into subjects that interest me and go beyond the obvious. That is one of the reasons I took to Systematic Kinesiology like a duck to water. It is a huge and complex subject but full of connections, patterns and logical explanations. I am always looking for these connections and thinking outside the box. When I see clients I am working away in the background between each treatment session to join up the dots and make sense of seemingly unrelated symptoms. 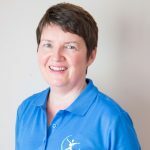 Earlier this month I attended an advanced training course in Dubin organised by Siobhan Guthrie principal of The Association of Systematic Kinesiology in Ireland, TASK. Our Instructor Marek Urbanowicz is a highly qualified and vastly experienced kinesiologist and acupuncturist. He flew over from England to teach a jam packed programme to a group of 40 enthusiastic post grad students. I found this event fascinating as Marek had lots of new material to teach us as well as interesting twists and tweaks on techniques we already knew. Of course I had loads of questions but didn’t get a chance to ask many such was the pace and timing of the weekend. The importance of proper breathing using the diaphragm. Many off us breathe too much into the chest and not enough into the belly area. Due to stress or physical trauma the diaphragm can become tight and restricted making it very difficult to take a deep breath. By tapping or massaging specific points on the body we can help to free the diaphragm and improve a person’s breathing capacity. This in turn increases energy and relieves tension throughout the body. The vital connection between the Psoas (a hip flexor muscle) and the diaphragm. Correct diaphragmatic breathing supports the Psoas muscle. There is also a connection between the Psoas and the Neck muscles. As the Psoas in very often involved in low back pain it is very important that if functions correctly i.e. neither too weak or in a tight spasm. By checking and adjusting the neck muscles we can re-set the Psoas. I was amazed at how restricted many of us are in our Range of Movement without being in actual pain. The body compensates in various ways for as long as possible but sooner or later a point will be reached beyond which we will feel pain or stiffness. This usually happens when the body is under stress be it emotional or extra physical exertion such as in sports or heavy work. The good news is it is very easy to improve Range of Movement of muscles with simple kinesiology techniques. This means we can be one step ahead and avoid that pain and stiffness. Most importantly Marek emphasised one core principle that I learned years ago on my very first morning of Kinesiology Training: The Body Heals it-self. As practitioners we assist and facilitate but ultimately it is the client’s body that does the healing. When people ask me if I can fix problem X or Y, I respond by saying I will do everything I can to facilitate your healing over a short course of treatment sessions. Healing is a process and it takes time for the body to adjust to a new and better way of living. Everybody is different and I tailor my treatments to suit each person and address their individual needs. I will give my clients simple techniques and information that they use at home between sessions and after the course of treatments is complete. As we all journey through life we learn and grow and put ourselves under stress and strain. By knowing how to heal ourselves at the very early stages we are empowered to stay fit and healthy for as long as possible. In our modern society many people look for a quick fix for annoying health problems. They usually choose a treatment option based on what is widely accepted and advertised. I have never agreed with this approach. I do my own research ask lots of questions and make an informed decision based on what feels right for me now and in the long term. For anybody who is looking for a gentle natural treatment for low back pain or other chronic pain do send me an email and I will get back to you to discuss how I can help.